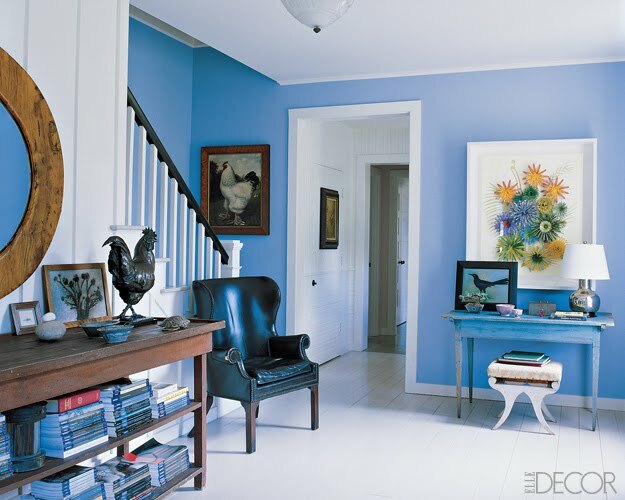 OOH FANCY THAT: .. perfectly pale blue ..
.. perfectly pale blue ..
Elle Decor put together a nice compilation of pale blue rooms that remind be so much of the blue jordan almonds. So bright and fun, but you have to be careful that it's not too sickly pastel. Here are some images from the feature! 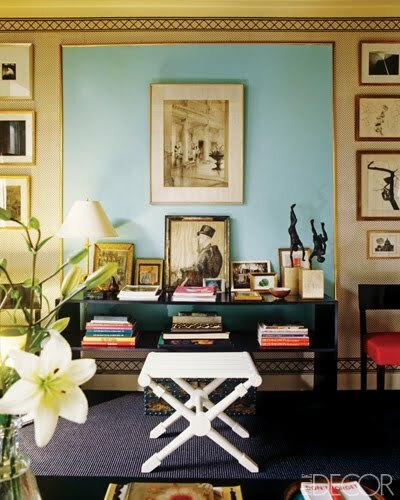 These rooms are so well accessorized. Love the books and art. It seems to me that with a color like this, it'd be good to feature it in one room and call it a day. 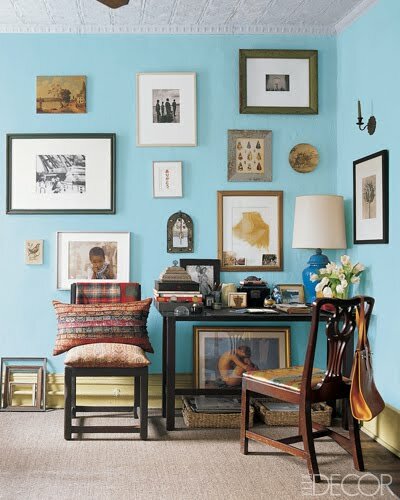 It can be your special pale blue sitting room. P.S. | The second image of the dining room features my favorite pale blue color of the group.